Wrap yourself in a rainbow! 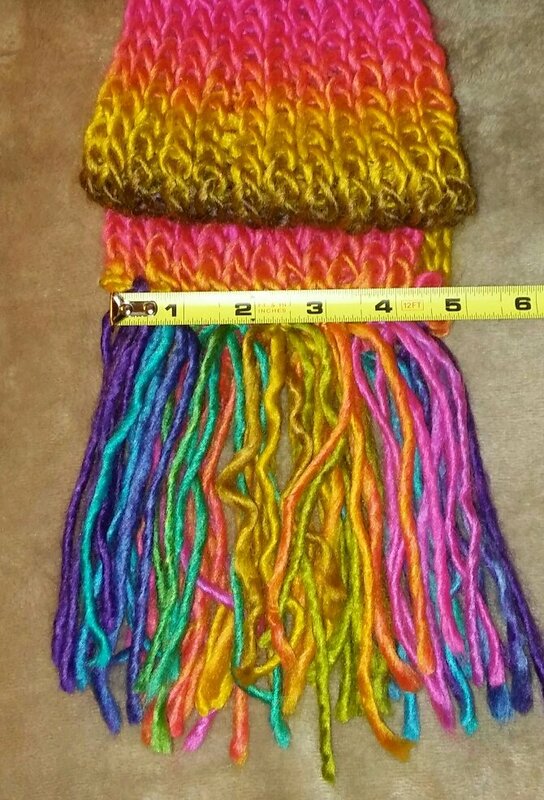 This scarf is 5 inches wide, and about 6 feet long, not including the fringe. Long enough to loop once and keep off the chills off your neck.